Clinton Hill rents may be skyrocketing, but there are a handful of units coming up sure to bring some peace of mind to those worried that the neighborhood is turning into another haven for the rich. DNA Info reports that a brand new building coming up at 490 Myrtle Avenue at Hall Street that will boast a terrace, veggie garden, reflecting pools with cabanas and $1,064 two-bedroom apartments. The building is sited along one of the more rapidly gentrifying areas of the neighborhood, just a block away from the Pratt Institute along a stretch of Myrtle Avenue that is about to see a serious boom in new developments and green space. Divvied up under the city’s affordable housing 80/20 program, the 93-unit building will maintain seven two-bedroom apartments available for $1,064, seven one-bedrooms for $877 a month and five studios for $816 a month. The price is near-insignificant compared to what’s being paid at market level in the area—as we last reported, Clinton Hill saw mean prices of $1,958 for a studio, $2,521 for a one-bedroom, and $3,120 for a two-bedroom in 2014, with a slight uptick in prices already seen this year for most apartment units. In addition to the aforementioned amenities, both market rate and affordable residents will enjoy a fitness center, dog run, bike storage, barbecue, a dining area, and a TD Bank and Key Food at the ground floor. 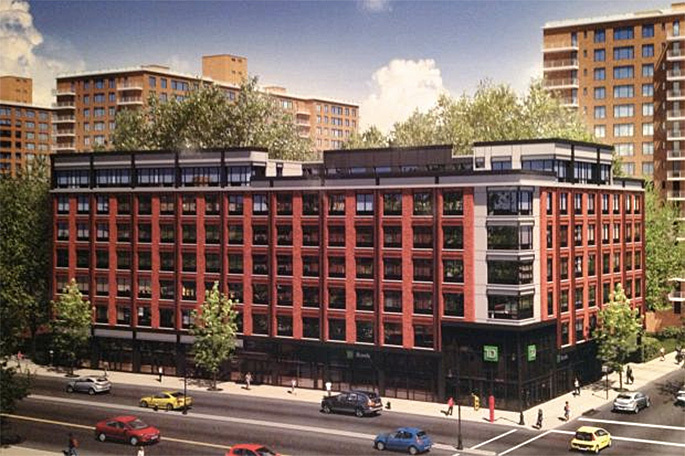 The development replaces a series of low-rise buildings and an Associated market seen above. 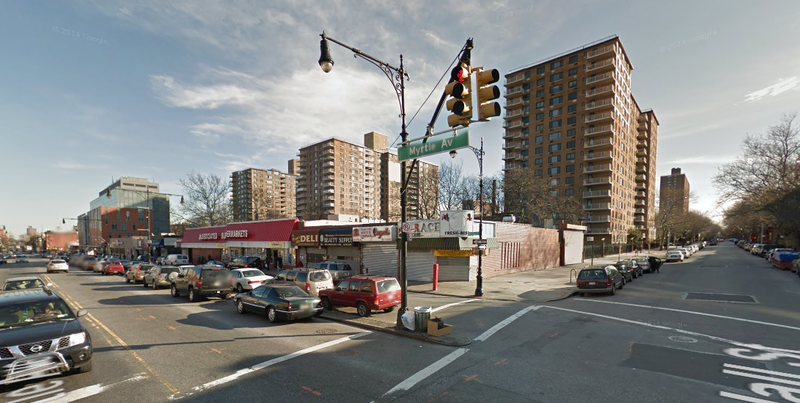 Interestingly, at the start of construction, a fancy Brooklyn Fare was slated to take up the larger retail unit. Construction on the building is expected to wrap this September, while its retail offer will open in the coming weeks. Those who qualify financially (income requirements range from $29,932 for single applicants to $51,780 for families of four) can apply for a unit online. Applications are due on June 11. You can keep up to date on market rate rental availability here.